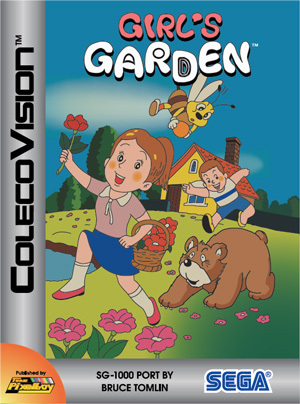 Love is in the air in Papri's garden, as she secretly dreams of dating Minto, the local dream boy. Luckily, Minto loves flowers, and Papri's garden is filled with them, so all she has to do is collect enough of them and give them to Minto to gain his affection. However, time is growing short, as Papri's rival Kokko also has Minto in her sights! 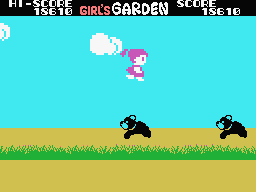 Guide Papri around her garden as she collect flowers during the short time that they are in full bloom, while evading bears and avoiding falling into water. 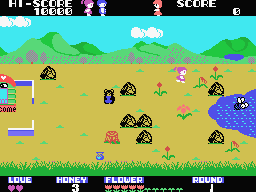 Play a bonus game of bear-leaping in between rounds for additional points.